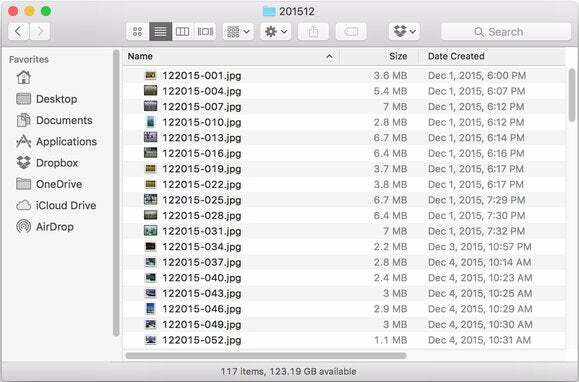 Photos with the wrong timestamp can be an organizational nightmare. Recently, I took a vacation to Alaska. I used my iPhone, which reset to the local time, and a point-and-shoot camera that I forgot was still set to EDT. After importing the photos to my Mac, I’ve found the time sequences are wrong and the photos are in the wrong order because of the differences in the two cameras settings. How can I edit the wrong times? You’re in luck, as there are multiple ways to fix this. In iPhoto. If you’re still using iPhoto and you’ve imported the images there, you can use a long-standing adjustment feature. Select the images, then select Photos > Adjust Date and Time. You can make a change to the first image, and iPhoto will calculate how to apply that to all selected images and explain that to you before it’s applied. Shift the time by four hours on the first and iPhoto will offer to do the same to the full selection with the option to apply to the original images. In Photos. 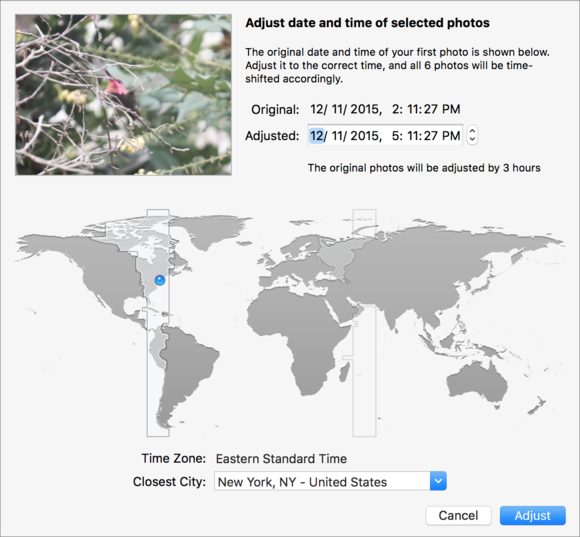 In Image > Adjust Date and Time, you can use an improved version of the same feature from iPhoto. The Photos version lets you use a graphical world map to shift time zones. It has the same cleverness about applying a shift to all images instead of setting the precise time for all images to your adjustment. Photos offers a more sophisticated time-offset fix than iPhoto. In A Better Finder Attributes. If the media remains unimported, your best bet is this $15 utility. It can modify all sorts of file-related data, which includes the EXIF metadata embedded in images. Adjust EXIF Timestamp lets you pick a specific time offset. 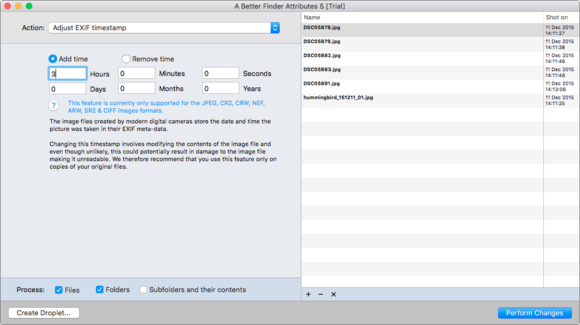 A Better Finder Attributes allows adding or removing time offsets from the embedded metadata of images. Correction: This article originally said the Adjust Date and Time feature was missing in the original version of Photos for Yosemite.